In July 2007 the Technical Group received a letter from the California Native Plant Society (CNPS) stating that vegetation degradation was proceeding rapidly in vegetation parcel Blackrock 94 in the Thibaut-Sawmill wellfield. Based on an examination of vegetation and hydrologic data, the CNPS concluded that serious negative trends in ecosystem condition are occurring at Blackrock 94. In response to this letter, the Technical Group agreed to examine the issue based on the Inyo-Los Angeles Long-Term Water Agreement’s (LTWA) provisions for determination of a significant effect on the environment. The LTWA provides a three-step evaluation for determining whether an effect is significant. First, the effect must be measurable. Second, if an effect is measurable, its causes are evaluated as to whether the effect is attributable to LADWP groundwater pumping and/or a change in past surface water management practices. Third, if the effect is due to groundwater pumping and/or a change in past surface water management practices, its degree of significance is evaluated. On May 1, 2012, Inyo County made a request to the Inyo County/Los Angeles Technical Group Pursuant to Water Agreement Section XXVI.B.1 for Resolution of Issue Concerning Vegetation Parcel Blackrock 94. 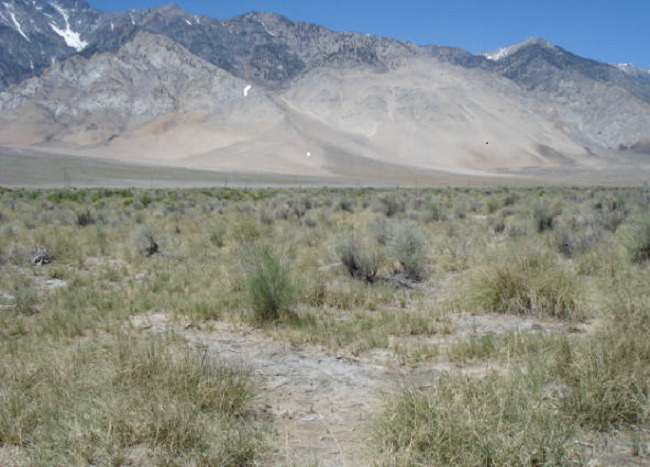 In accordance with the provisions of Section XXVI of the Inyo County/Los Angeles Long Term Water Agreement (LTWA), the County of Inyo notified the Inyo County/Los Angeles Standing Committee that the County had submitted a dispute over vegetation parcel Blackrock 94 to mediation/temporary arbitration. By a revised stipulation signed on July 11, 2013, opening briefs by both parties to the dispute were submitted to the Mediation/Temporary Arbitration Panel with a deadline of July 26, 2013.